• Size : 250mmx145mm, 62.5mm max dia. 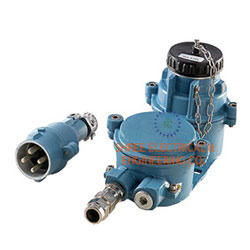 Priced at the most reasonable rate possible, the range of Flame Proof Plugs and Sockets provided by us, is demanded in the market. Making of this range is done as per the norms and guidelines of the industry and utilizing high grade raw materials and modern technology. This ensures the product’s performance, capacity, strength, precision and longer service life. 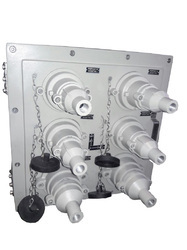 Flameproof-Weatherproof enclosure for switch socket & plug combined unit.